Being a fisherman as long as I can remember I have used just about every type of fishing rod there is. Now that I guide trips, I keep up with all the latest designs. I’ve fished using all types of rods and in this article we’re going to cover spinning, baitcasting, spincast and fly fishing rods. Like many anglers I started out with a Zebco spincast rod and reel combo and as I gained experience I moved on to try many other types. Every fishing rod is meant for specific types of fishing and we’ll go over that in our guide below. So if you’re looking for your first rod or just your next one, you’re in the right place! Let’s take a look at my three favorite rods, then we’ll cover them all in more detail and we’ll talk about how to choose the right fishing pole for you. 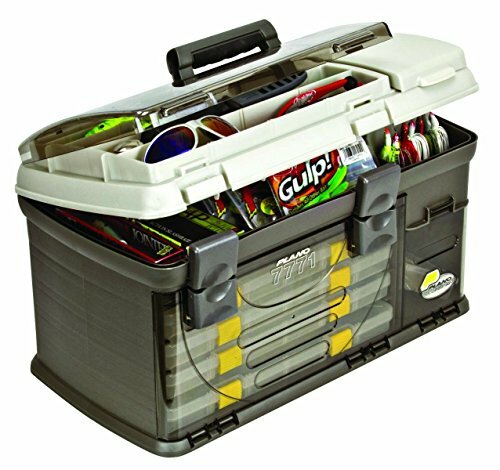 For more of my top gear recommendations, have a look through these popular Outside Pursuits guide links: Tackle Boxes, Fishing Sunglasses, Fishing Hats. Ugly Stik has been one of the most popular rods for anglers for years. I’ve seen these around more than probably any other rod on the water. Why? Because they’re a great spinning rod for the price. That’s it! Ugly Stik has been using their clear fiberglass Clear Tip on rods for years. This fiberglass segment at the tip is designed to add power and flex to the rod to maximize the responsiveness and strength. These rods are available in ultralight to heavy action and everything in between. I love that there are so many options because it allows anglers to tailor their rods just right! You’ve also got to keep in mind that the length of your rod is critical to each application, but you can pick from 4.5’ to 9’ lengths with this rod. Best For: A single rod that is proven and available in any power and length you can want. KastKing knows what’s up, let me say that. 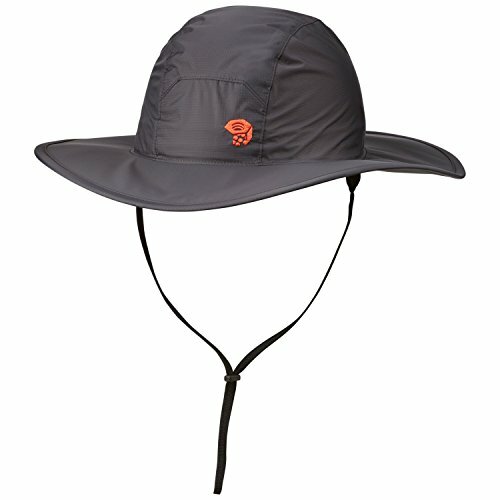 I have loved every piece of gear I’ve seen from them and most users do as well. This carbon fiber spinning rod is sure to continue the trend. Maybe not revolutionary, but certainly helpful is the Power Transition System. This focuses on the joints of the two-piece rods to make sure they smoothly transfer the bend of the rod from one to the next. Computer controlled carbon wrapping helps to make sure the rod bends evenly throughout its length. Of course we expect as much from a rod. But what we don’t always expect is a little extra! 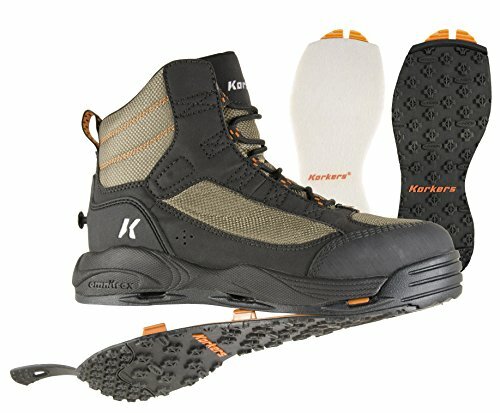 The KastKing Perigee II comes with two rod tips in every set! Each rod has either a medium and medium heavy or a medium and medium light rod tip. That means with just a switch of the tip you can have a totally different rod power! These rods are available in 1 piece and 2 piece versions. Best For: Anglers looking for a lightweight setup with high performance at a moderate price. Shimano has been, of course, one of the biggest names in fishing gear for generations. This spinning rod is a classic and features a few variations from the other two on our list. Personally I’m a fan of cork grips over EVA foam. They look better, and they wear in over time to the shape of your hand based on how you hold them. EVA foam is just fine, but given the choice I’d choose a good cork grip like these. Grips aside, this medium power rod is a fast action workhorse. It’s perfect for throwing lightweight bait and working quick bait. While we haven’t talked about line guides yet, I will say that the aluminum oxide line guides on this rod are ideal. Aluminum oxide is hard as glass and will allow the line to zip out as you cast. Less friction means more distance, yet again making this rod ideal for smaller setups. Best For: Using lightweight bait on a rod that takes a classic approach to the spinning reel look. To see all my recommended spinning rods, see my reviews here and spinning reels here. 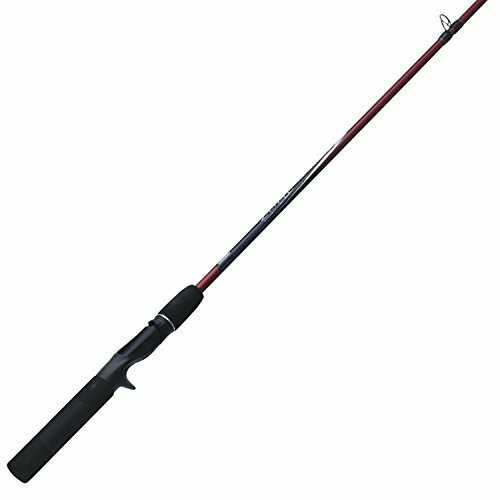 This 7 foot rod is available in tons of different power combinations. All of them are two piece rods with a modern split handle design that looks as good as it functions. One of my favorite parts about this rod is the well developed reel seat. Too often good rods have weak reel seats in my opinion. On the Sirius the reel seat is made from cushioned stainless steel that locks everything into place! While stainless steel isn’t the ultimate in line guides, it’s perfectly acceptable in my opinion for the cost of this rod. Some other line guides help reduce friction to increase cast distance but stainless steel is plenty good for most anglers and the cost difference is usually better anyways. With a split EVA foam grip you’ll need to be sure you like this style. It’s a long handle with no grip in between the two extended foam handles. If you prefer single piece handles, this may be a deal breaker for you. It does allow for a lot more leverage and control than shorter handles, though. 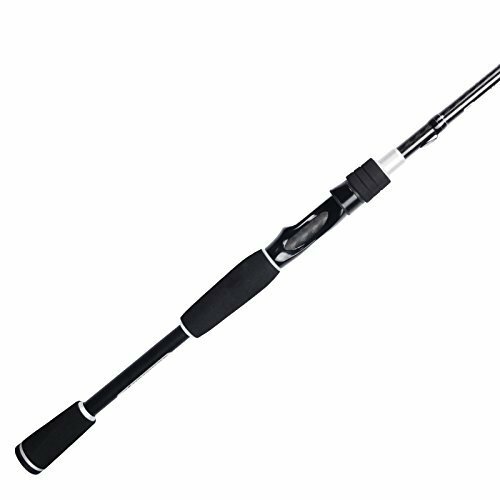 Best For: A quality rod with tons of power and control at a very reasonable price. You’ve already seen this rod take top marks in the spinning rods category. No surprise that it’s back for more in the baitcasting rods section! Unlike the last rod, this one features a full size EVA foam grip. If you want to be able to place your hands anywhere along the grip, this will give you that ability. Of course it’s a bit heavier and bulkier because of that, but not by much. I will admit that I wish Ugly Stik would rock a metal reel seat. They’ve been doing synthetic reel seats for years and I just don’t trust them as much as metal. However, users rarely have an issue with it, so, “if it ain’t broke, don’t fix it,” right? Of course, the exact characteristics of each rod will be determined by the length, power, and action of your choices. You can pick between 1 or 2 piece rods with many variations of length and power. Best For: Anglers who want the quality of Ugly Stik with a full handle and tons of combinations. This rod gives the Ugly Stik GX2 a solid run for its money. 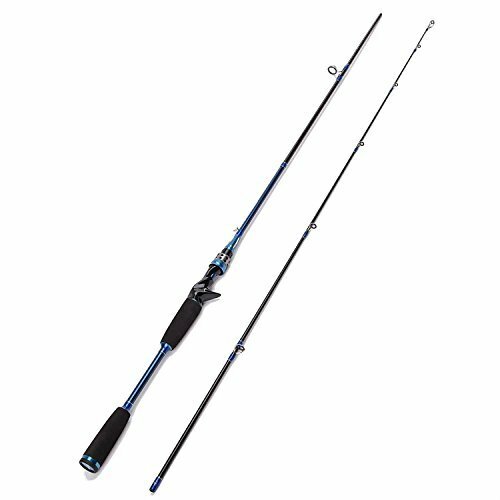 With similar characteristics and, arguably, a couple upgrade points this rod is even lighter on the pocketbook. Like most casting rods (as opposed to spinning rods) the Torrent rocks a trigger grip. This helps retain the rod while casting using a one or two fingers in front grip style. Combined with the full size EVA foam grip this rod competes with the GX2 for the ultimate in control when fighting a fish. While this rod lacks some of the customizability of the GX2 it does keep the price a bit lighter. You’ll be able to choose between 6.5’ length medium or medium heavy power. This length and power combination is a good “everything” rod. One of the best qualities of this rod is the Zirconium line guides. These are rust proof line guides that are hard, durable, and low friction. For casting lightweight bait with a baitcasting reel (something that’s hard to do) lower friction line guides will help you reach out and throw! Best For: An all around baitcasting rod at an affordable price for that “one rod quiver”. To see all my recommended baitcasting rods, see my reviews here and baitcasting reels here. Without a doubt this is one the most refined rods on our list today. Not only is it an Abu Garcia classic, it’s designed around Mike Laconelli’s specifications. Let’s take a look at the Fuji reel seats because they’re pretty cool. 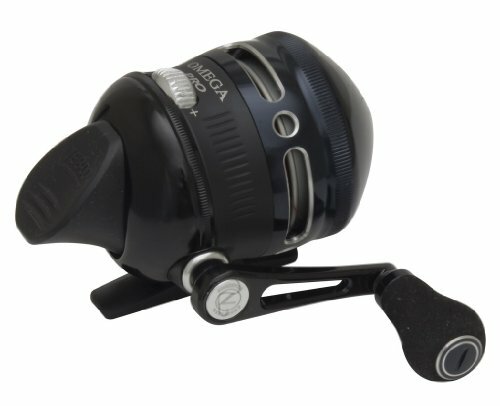 Fuji makes custom reel seats for high end rods. These reel seats are polished, lightweight, high performance pieces that fit perfectly on this casting rod. Depending on which rod you select, you can pick from several combinations. There are rods from 6’ 4” up to 8’ long. Powers are mostly medium to heavy and actions range throughout the spectrum depending on what you want. 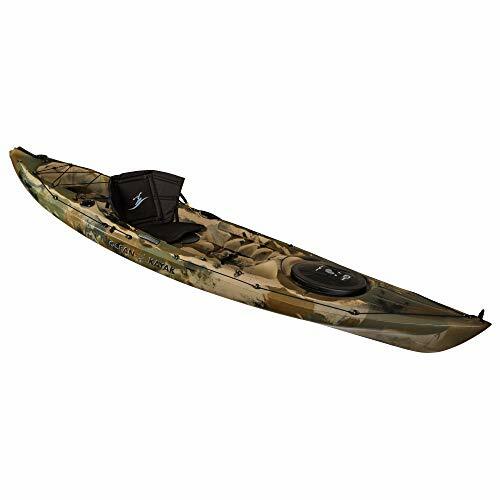 There are a total of 15 models in this rod series, so select before you order! I chose this rod for spincasting because of the shorter grip length and pistol grip setup. Of course, you could easily swap a baitcasting reel on to this rod if you want. 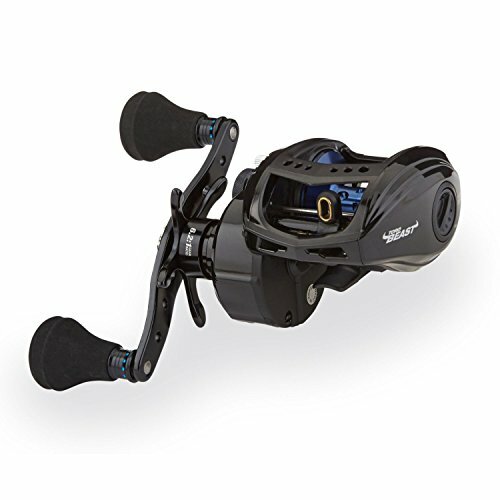 Best For: A refined, high end action and rod feel on any spincasting reel. On the other side of the spectrum is the much more affordable Zebco Zcast. 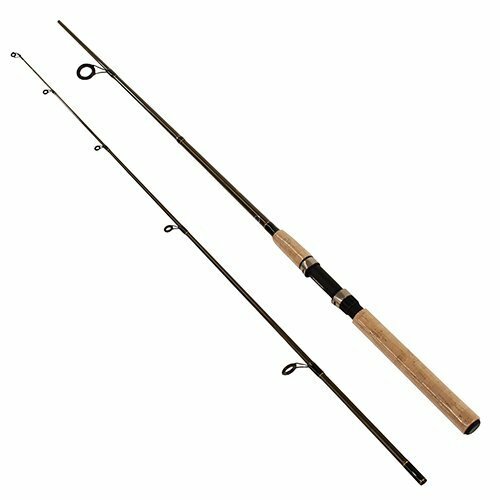 This rod is perfect for beginners or those looking for an affordable rod to combine with a spincasting setup! This rod is made specifically for spincasting. With a short, pistol grip style handle it’s really ideal for a small, lightweight setup. I would consider this an ideal rod for a gift to a beginner or for the kids to start fishing with you! With a 5.5’ long rod it’s going to be limited but these shorter rods are good for beginners and kids. They’re easier to manage and less likely to swat you in the head with a hook on the cast! Best For: Beginners and kids where affordability and control is key. 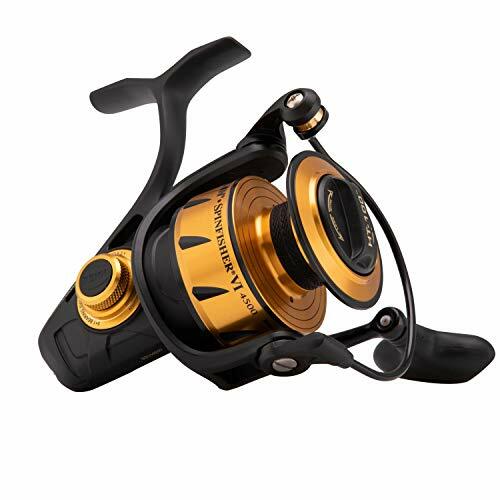 To see all my recommended spincasting reels, see my reviews here. This fly rod easily takes the top of the list. Why? Because it comes in virtually every length, power, and action you could want. All at a reasonable price, to boot! Whether you’re traveling through the airport or heading into the woods with a backpack, you need to be able to pack your rod. That’s why it’s critical to choose a rod that breaks down and most of them do. Like the Piscifun Sword, fly rods typically break into 4 pieces to become manageable. One inventive change on these rods is the alignment dot. Each rod section has a little dot that helps you line up with the one before it to make sure the line guides are all straight for quick rod assembly. When you choose your rod you can pick from one of 5 different models. These span from short, slow action rods to long fast action rods. Depending on where you’ll be fishing and what your target species is, there’s a rod here for your needs! 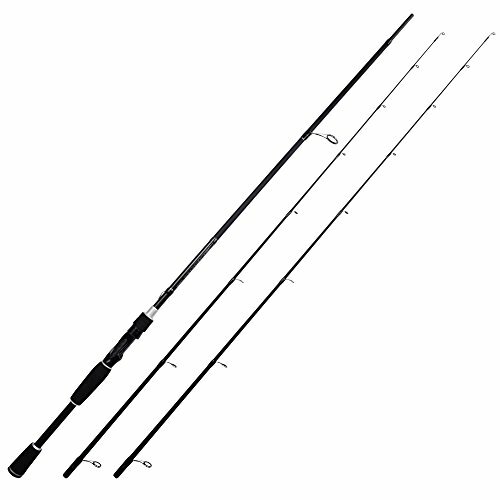 Best For: One reliable model of rod that can be found in any configuration for your next trip! 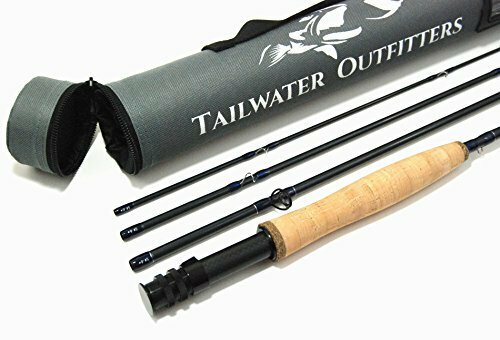 Tailwater is a fly rod maker known for quality and affordability. While other rods may sacrifice performance to save a buck, Tailwater keeps that quality without emptying your wallet. When it comes to fly fishing, having such a lightweight bait can often be hard to cast well. Of course, the weight of the line does the work for you but friction on your rod can slow things down. That’s why I love that they included ceramic line guides on this rod. Ceramic is very low friction and will minimize the parasitic friction that slows your casts. On top of that are nice features like the alignment dots for quick rod assembly. 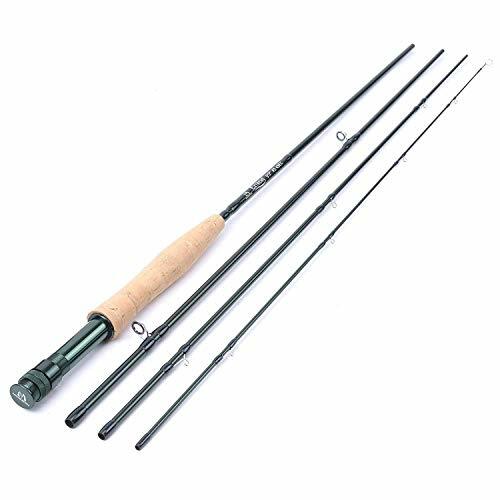 This 4-piece rod comes with a rod holder like most fly rods. I do love a good machined aluminum reel seat. 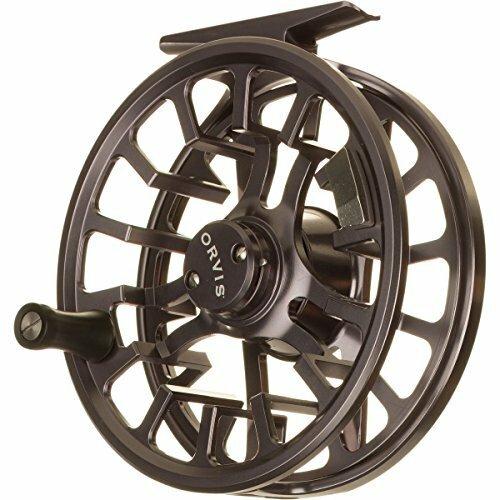 Fly rods often feature metal reel seats and I think that’s an amazing improvement over some of the materials used in cheaper rods. Tailwater opted for the classic and standard cork handle grip on these rods. Cork is my prefered handle material. It absorbs sweat and water and it contours to your grip over time. Best For: A refined rod at a reasonable price. 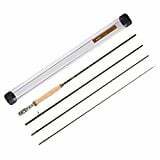 To see all my recommended fly fishing rods, see my reviews here and fly reels here. There are a ton of options on our list that span from inexpensive to professional level models. So how do you know where to start? And which type of rod makes sense for you? This one often gets confused with rod power. Action refers to how much of the rod bends when under load. So, you set the hook on a fish and the rod practically doesn’t bend? That’s a fast action rod. You set the hook on a fish and the rod bends nearly 90 degrees before it engages the line? That’s a very slow action rod. Think about what that might mean for your fishing. The slower the action the longer the fish has to get the hook in its mouth before your set engages the hook. 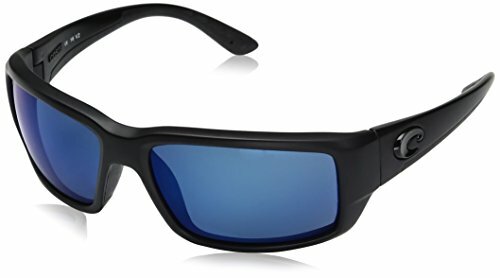 It also means slower responses when jigging or performing techniques on the water. Fast action rods can respond so quickly that you might jerk the bait right out of the fish’s mouth before it can swallow it. Or you set the hook so hard it tears out. Of course, fast action rods are great for casting long distances because you can really whip them. They also excel at fighting against larger fish. You’ll have to decide which one makes the most sense for you. And don’t forget there are rods that span from slow to fast and everything in between! Rod power is slightly different from action. While action measure how much of the rod beds when under stress, power doesn’t. Power instead is a reference to the entire rod’s stiffness. Light power rods are good for lightweight lures and gentle fish. These are your light biting fish such as walleye and trout. Medium power rods are good when you start to look at fish like moderate size freshwater or saltwater species. These rods excel when you need a rod that sets up more quickly than the lighter rods. Heavy power rods are, as the name implies, your hard hitters. There rods can handle heavy lures and larger fish. They’re good for lures around the 1 ounce range and deeper, larger, species. There are, of course, rods that vary between all of these “settings”. You’ll have to look around to find that right rod for you. Generally, light power rods have slow actions and heavy rods have faster actions. However, you can find odd combinations that might suit your style or needs if you look around! If you want to know what rod to take for various target species, I’ll try to give you some outlines here. Light biters such as trout or walleye are great on light power rods with slow or medium action. You won’t overpower them and you can feel them grabbing the hook with ease. Heavier rods are just too clunky for these situations. Fish such as Northern Pike or medium saltwater species can be easily tackled with a medium power, medium action rod. These rods are an all around winner. They’ll overpower small fish though, and you’ll struggle to fight the biggest species. This includes deep saltwater fishing, or going for salmon runs in the depths of the Great Lakes may require one of the enforcers! These heavy rods feature fast actions to control the fight with larger fish and cast or control the heavy bait required to fish the depths. Bait plays a critical role in your rod selection. Of course these factors all tie together, but you can’t ignore your bait choice when it affects your rod. To figure out your bait choice, research your target species and location. Find out what’s working for other anglers and be prepared to fish using similar bait and techniques. Then, you’ll need to keep an eye on the size and weight of your bait. If you’re throwing super lightweight 1/32 ounce bait you’ll probably want a slow action low power rod. To cast loaded crawler harnesses and fish the bottom you may want a medium power rod. It would exceed the scope of this article to take an in-depth look at bait and tactics for species. However, you should be able to do a bit of research and then quickly figure out what combination of rod power and action you need! I did my best to put quality rods on our list that have a purpose in each person’s kit. Remember, rods, bait, fish, and locations are all personal. Just because someone next to you in line bought a certain rod from Bass Pro Shop doesn’t make it the right rod for you! With the help of this article you should now know what to look for and how to select your next rod. With a little extra research about your target fish, you can be sure that the rod you’re picking up will actually improve your odds of landing that next catch! 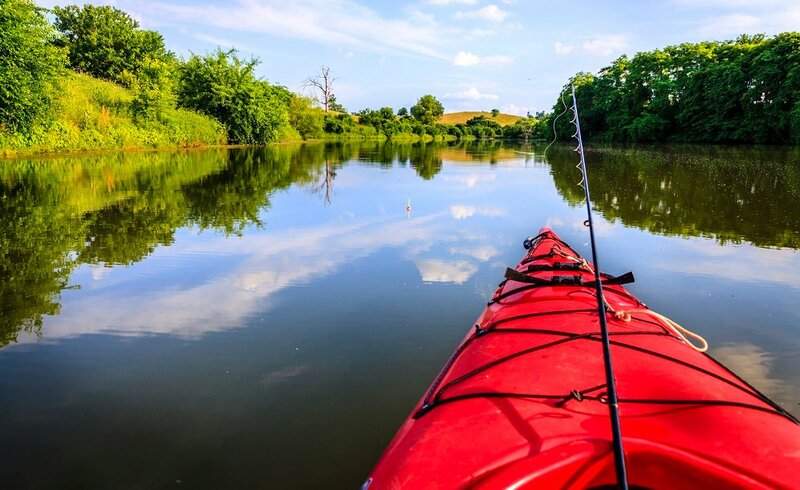 Whether you want to land some huge saltwater fish or tease the trout out of a babbling brook, there’s a rod on our list that can help you get it done. The best part is that almost all of the rods on our review list are quite affordable, despite their great performance! Now, get out there and enjoy the best day of fishing you’ve ever had! I hope this guide was helpful in picking the best fishing rod to fit your needs. If you want to comment or recommend a rod I didn’t include, please use my contact form to get in touch.